PRUDENTIAL Associates is a globally operating consulting and solutions company, which has been dedicated to providing services and subject matter expertise to clients since 1972. We offer a wide range of services within the top level categories of corporate risk management, physical security, cyber/network security, investigations, and digital forensics. For more than five decades PRUDENTIAL Associates has served the needs of corporate clients, government agencies, and members of the legal community; these clients depend heavily on our company to be their “intelligence division,” as well as to protect their people, assets, and interests. With Prudential Associates as your investigations and surveillance resource, you or your company effectively acquires an “intelligence division. Ours is a division consisting of true leading edge technology and global resources. Our digital forensics lab is so substantial in capability and staff expertise that it surpasses that of almost every law enforcement lab in the United States. 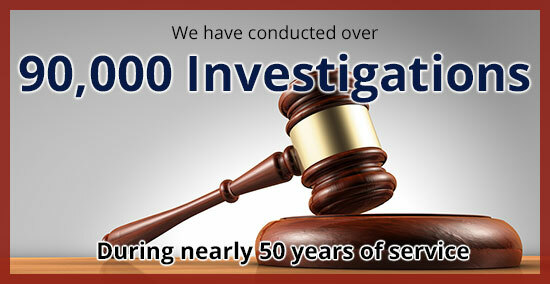 There is simply no other investigative agency in the region with our experience, abilities, and resources, period. Our commitment is to provide professional executive protection, crisis response, risk mitigation, training, and security consulting support to our clients. We take pride in the excellence demonstrated by our operations and creative solutions which have proven us worthy of our clients' confidence here and abroad since 1973. Your full service resource for cybersecurity, network vulnerability and penetration testing, network and systems hardening, training, policy planning & development and IT disaster recovery. All of our “guards” are actually off-duty police officers. We are the region’s largest provider of off-duty police in security roles. Our security staff and the project managers we deploy are selected from tested, proven, dependable, specially trained groups. Training provided by sworn, currently active law enforcement professionals. Prudential Associates Trainers are sworn/active duty police officers and specialists in the disciplines taught. They teach at universities, law enforcement academies, and in our contracted training settings for corporate and government clients, with class sizes of approximately 20-30 students. Over several decades, Prudential Associates has provided project/program management and staffing solutions for client operations worldwide - from New Zealand to New Mexico, Indiana to Iraq, and everywhere in between. Our thousands of successful operations include: management and staffing presence at multiple Olympic games; hostile environment commercial risk management operations; management and security presence at major international sporting events; anti-piracy deployments; global media productions; security and staffing presence at numerous multinational government security management events; and coordination, management, and staffing of long-term remote-location commercial operations. In order to effectively and efficiently serve our clients’ interests in the US and abroad, our seasoned project/program managers have lengthy rosters of tested and proven subject-matter experts from all disciplines. Furthermore, for special labor staff requirements, our global resources are so vast that we never have to ‘go to the phone book/Google’ the way many staffing agencies do. View our staffing page and behold the breadth of subject-matter experts and special-skill staff categories available to you through Prudential Associates' global staffing solutions. Prudential Associates’ top-tier professionals are recruited from the most respected law enforcement, specialized military operations, and intelligence organizations. Many of these professionals include former FBI special agents, former CIA officials, former U.S. State Department officials, and other experts in all aspects of security, computer/cell phone forensics, international crime, and counter-terrorism.